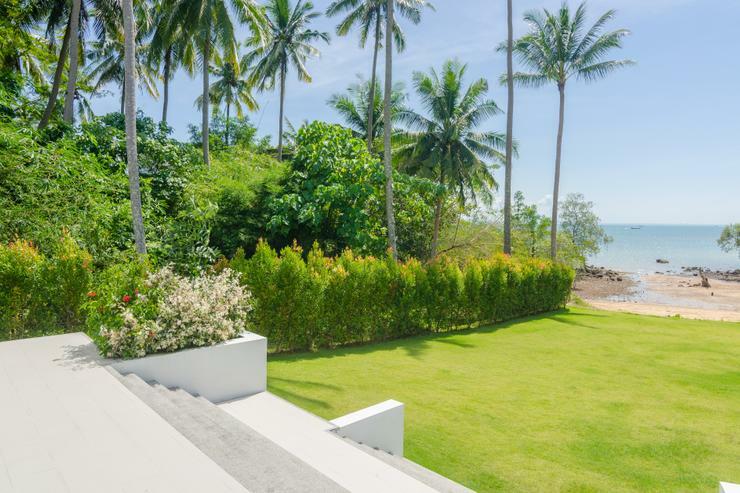 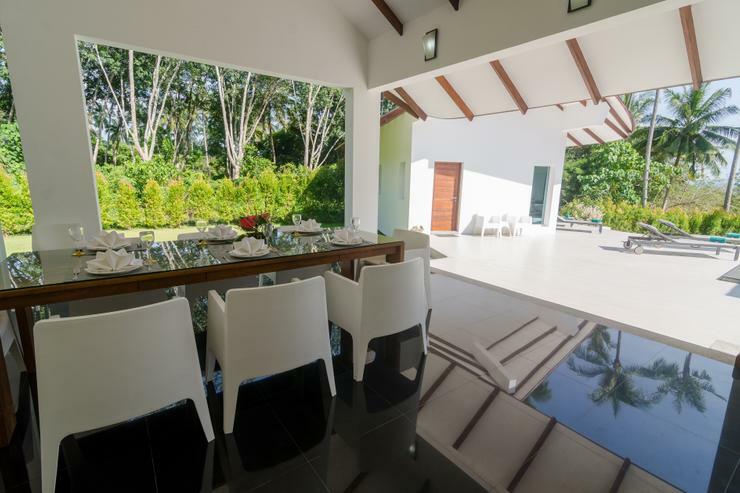 The Beach House is an absolute beachfront villa, located directly on the sand of a private beach, yet with easy road access. 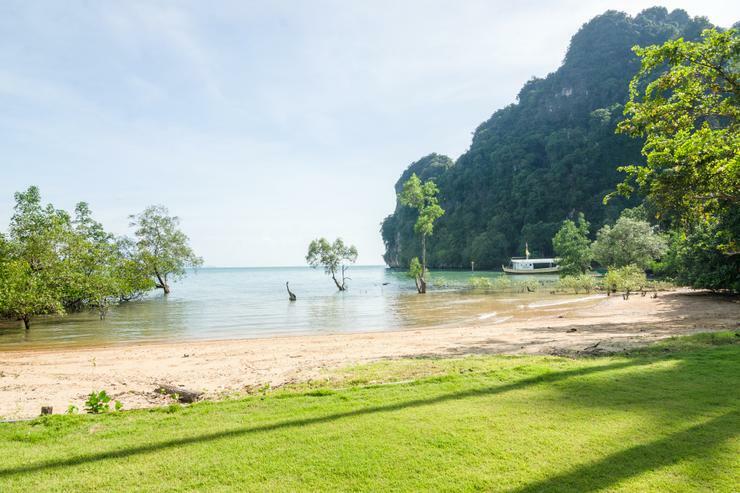 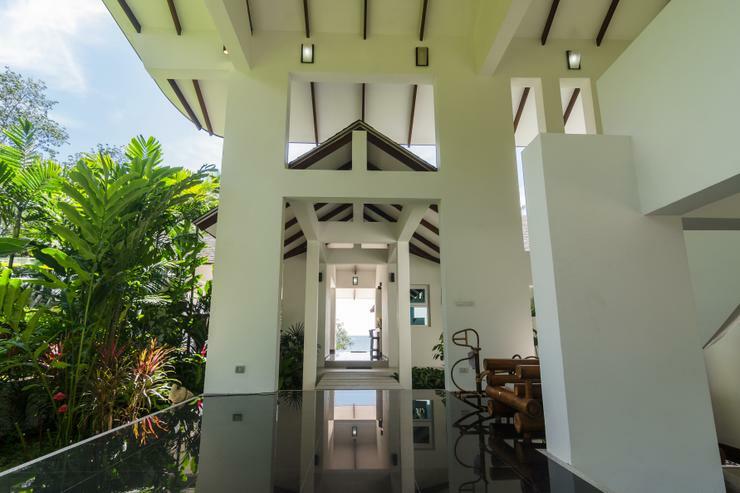 From here, you can take one of the villa's two kayaks and paddle over to the world-famous Railay Beach, just 15 minutes away; or we can arrange for a longtail boat or speedboat to pick you up from the villa to whisk you off to the islands on the horizon. 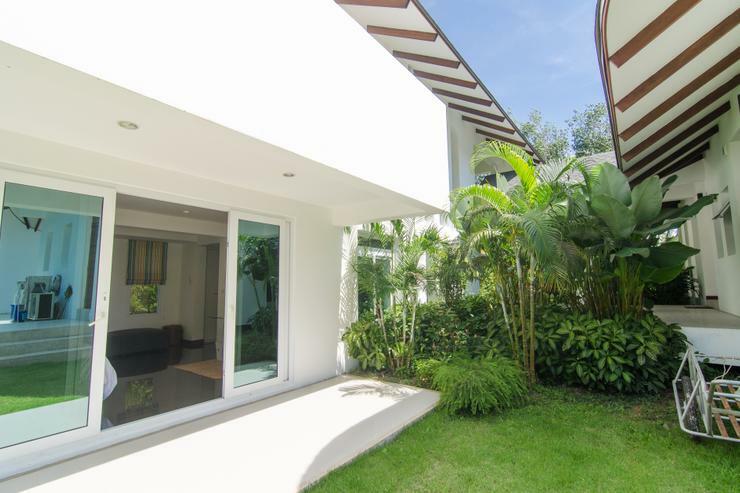 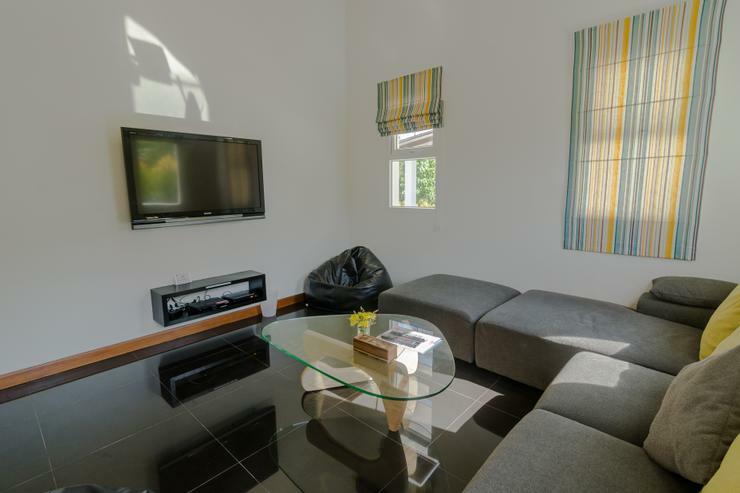 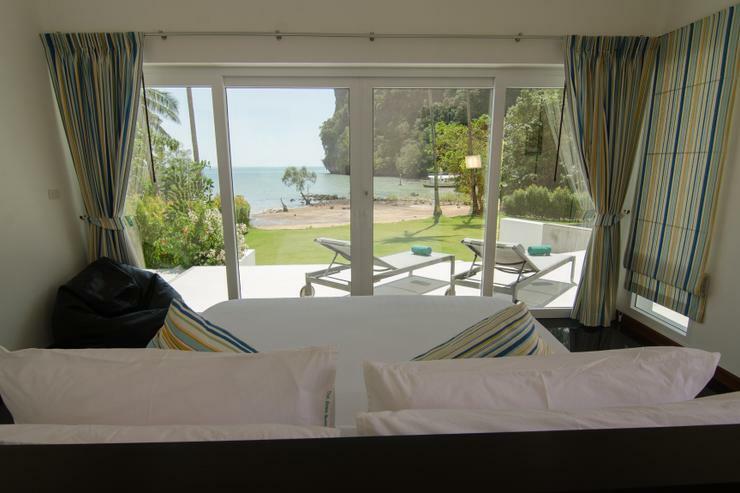 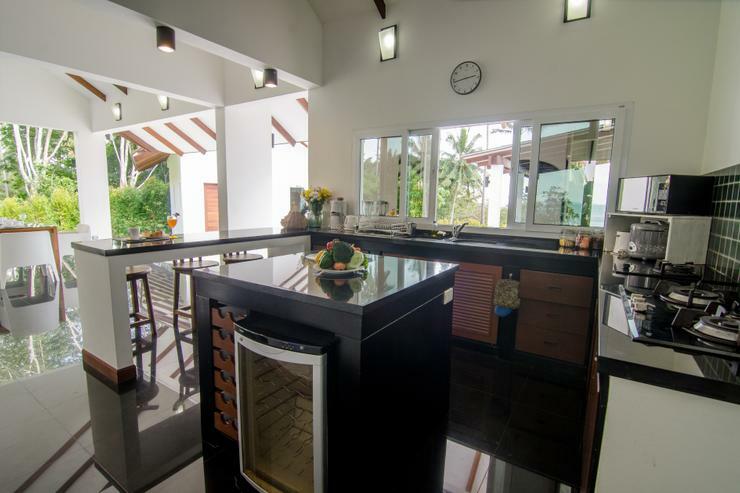 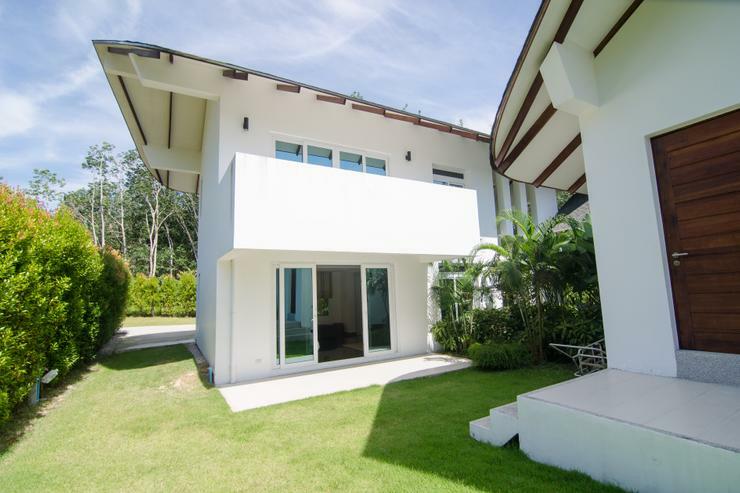 Absolute beachfront villa within easy access of all tourist attractions. 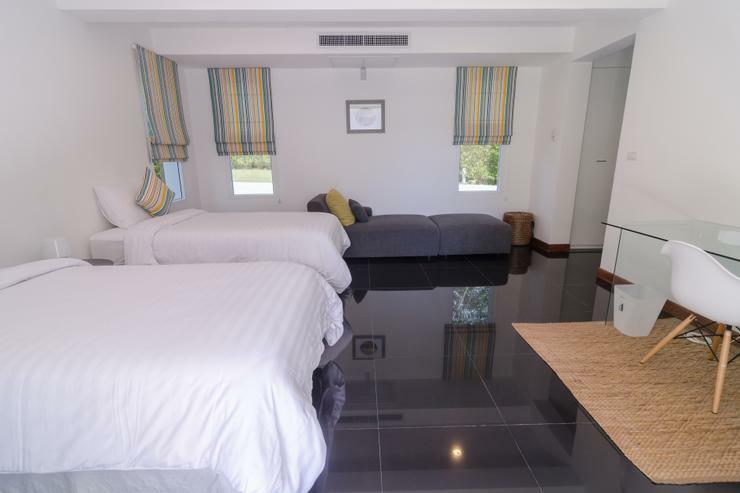 Sleeps up to 8 - 10 guests. 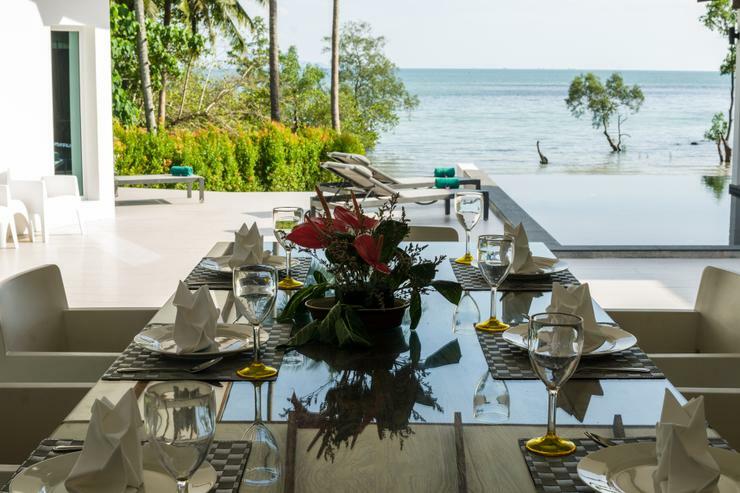 Ideal for private weddings, family reunions, luxury getaways. 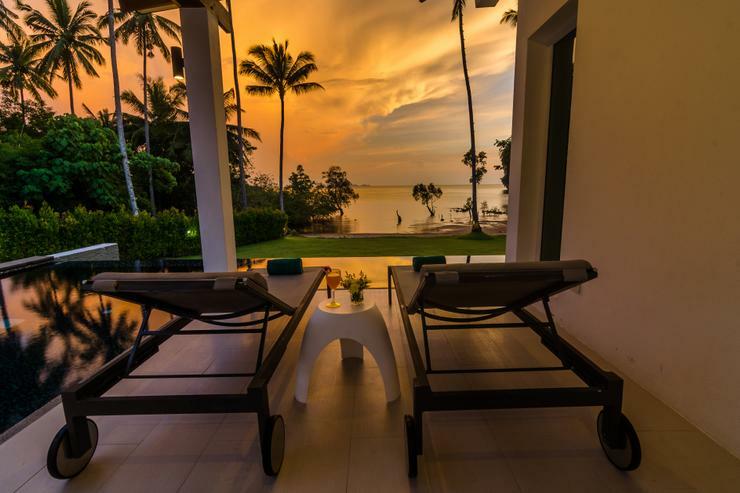 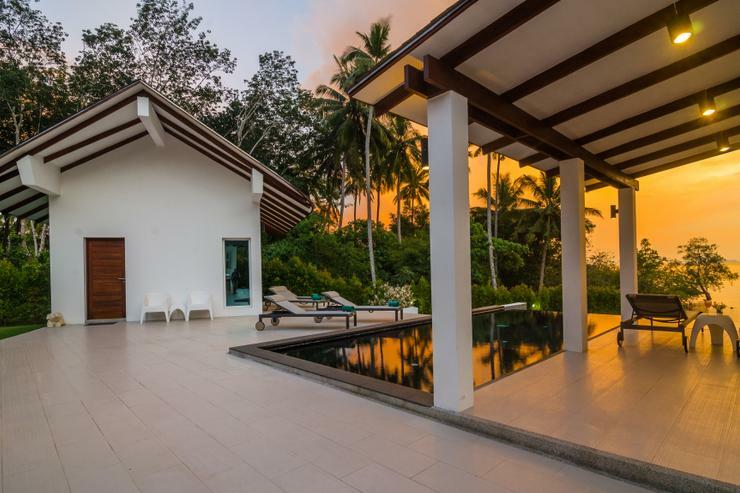 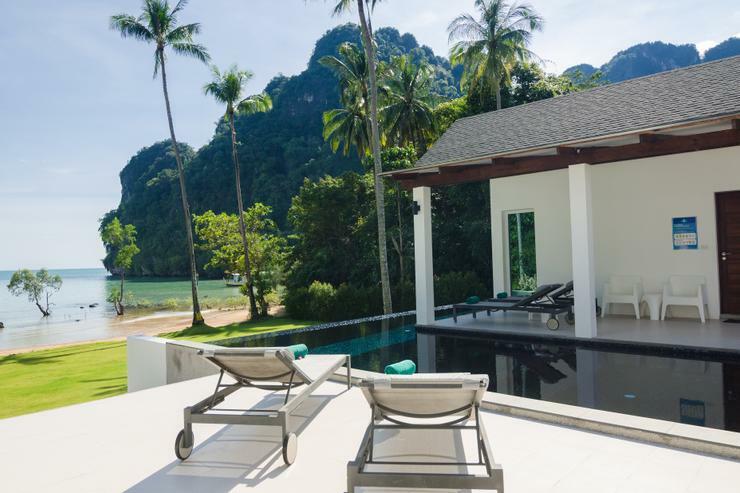 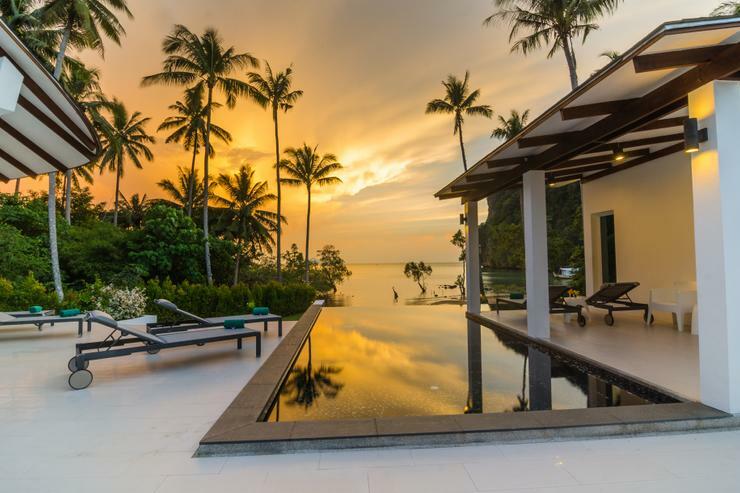 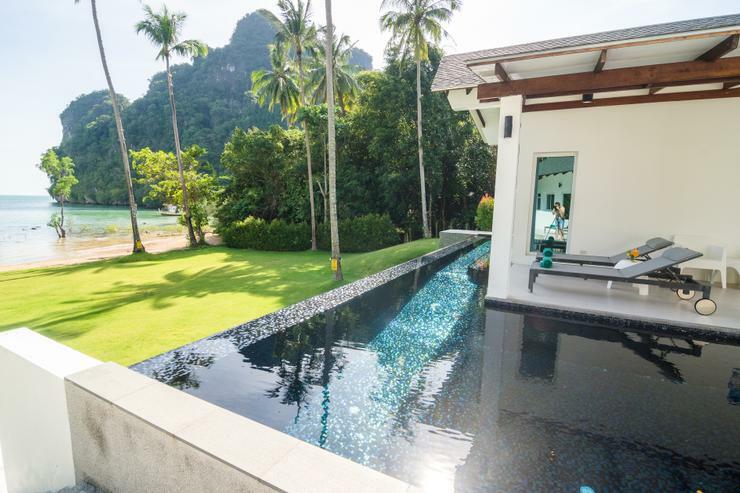 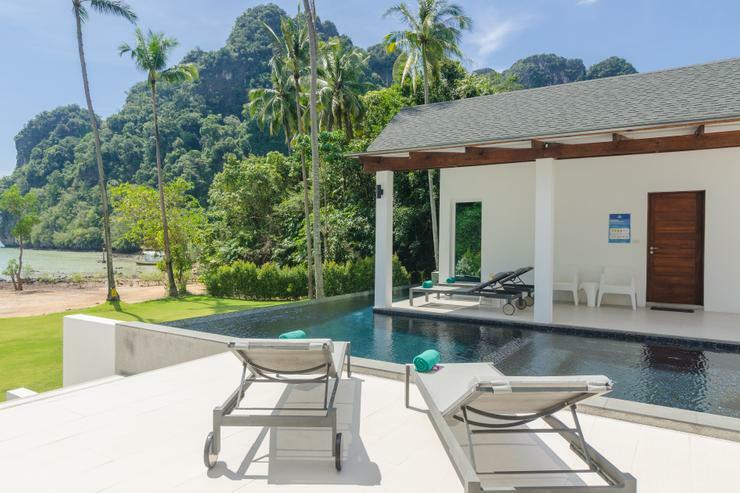 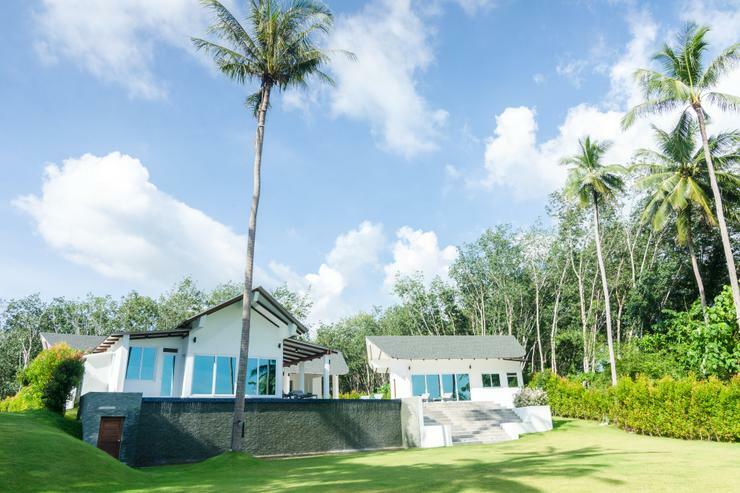 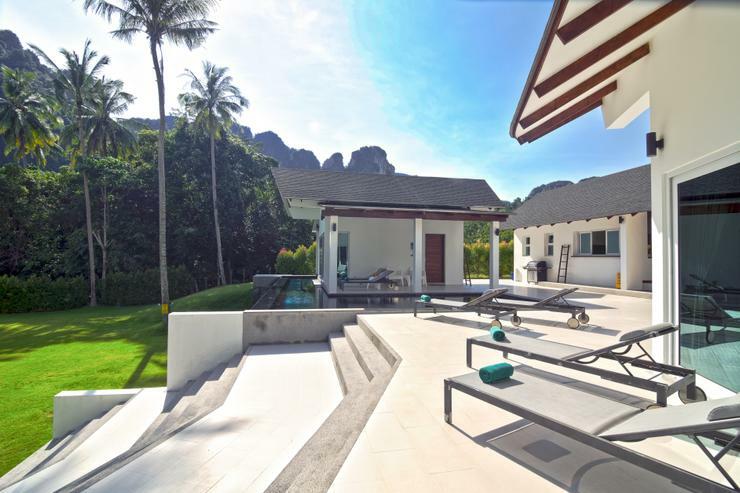 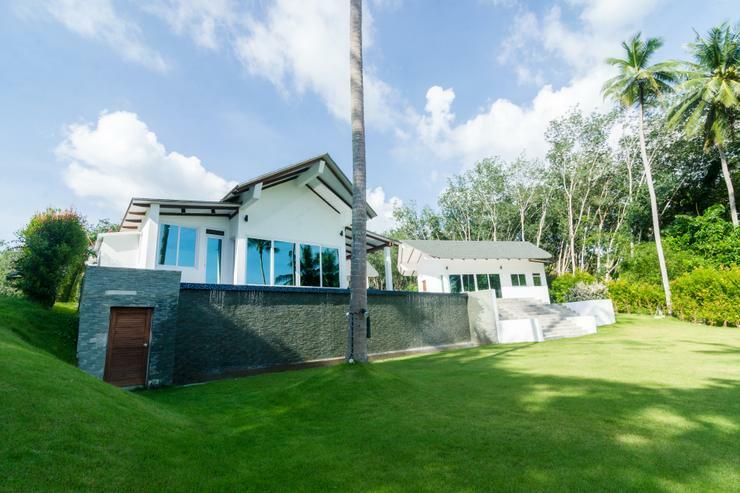 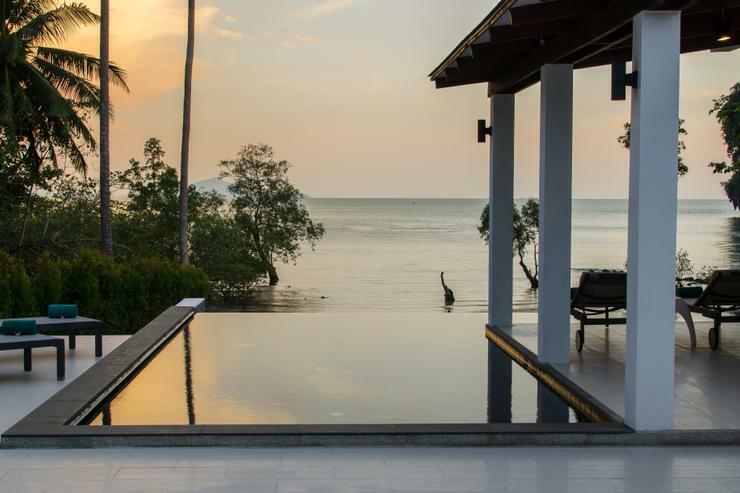 If you have been searching for the perfect beachfront villa, you need look no further: The Beach House by Krabi Riviera in Krabi is it. 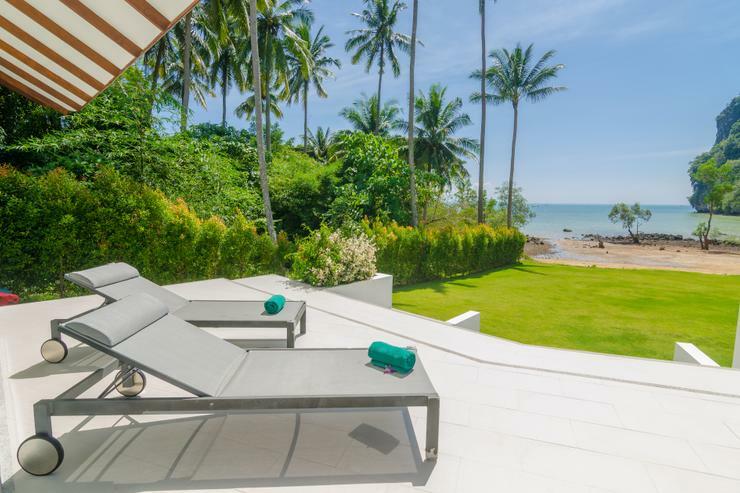 The villa is located directly on the sand of a private beach, yet with easy road access. 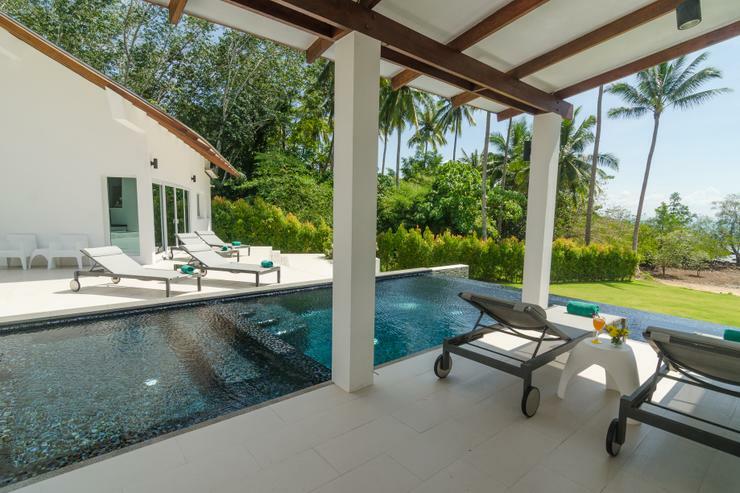 Add to this a private infinity pool and rooms with unparalleled ocean views on 2,000 mÂ² with fully landscaped grounds, including tropical fruit trees and mountain views and you have all the ingredients for a magical holiday. 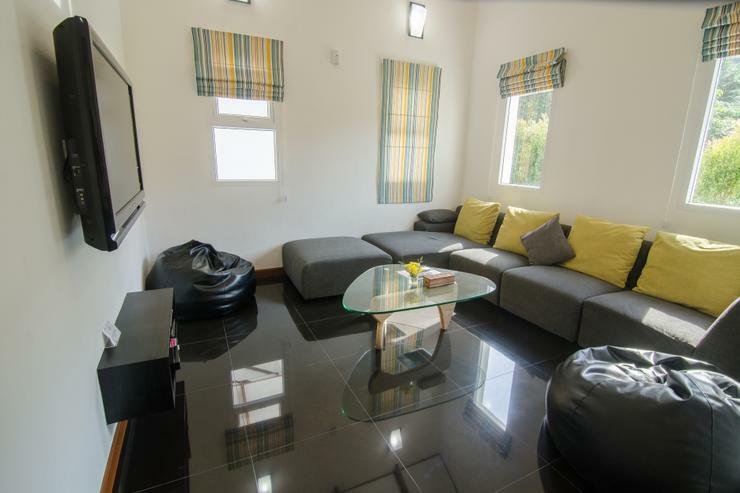 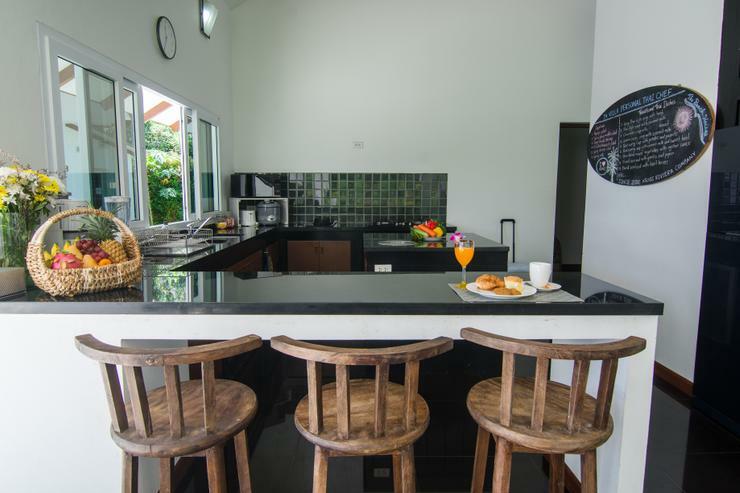 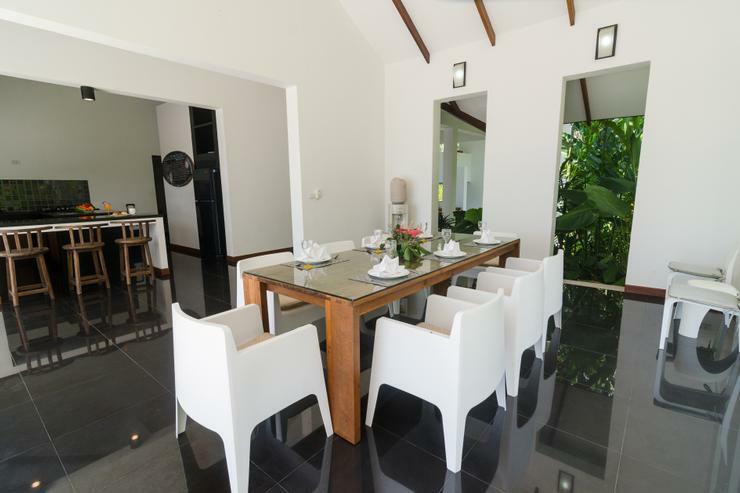 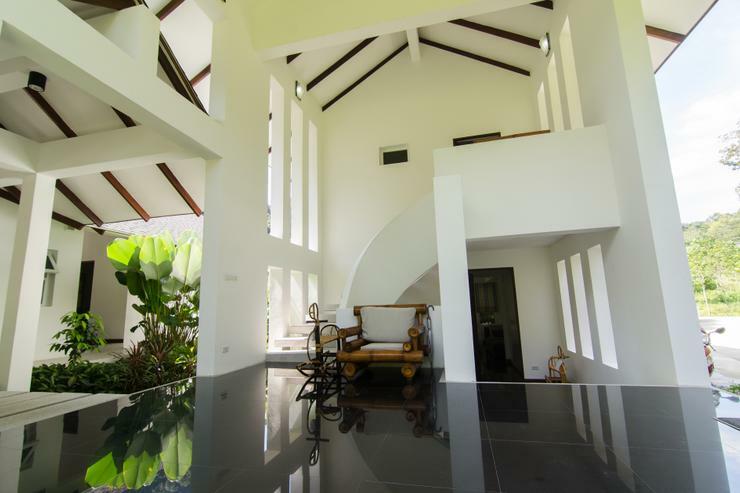 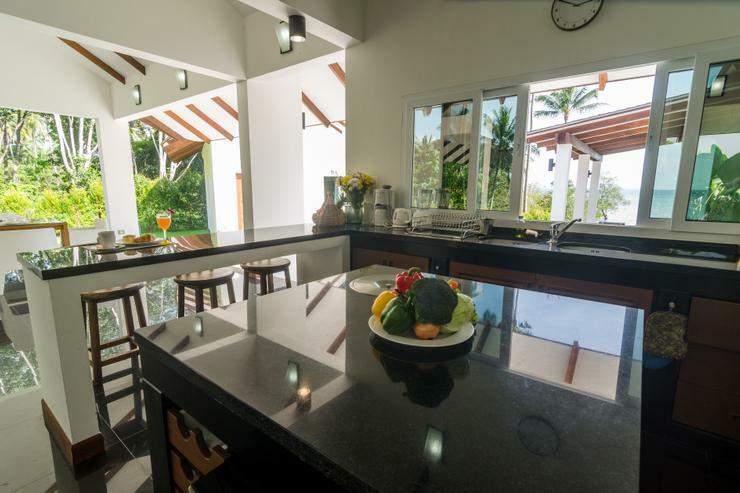 The Beach House is designed for privacy, intimacy and comfort and features a 500 mÂ² floor plan, with 4 individual, air conditioned suites situated around a central, open air living and dining space and air conditioned TV / media room. 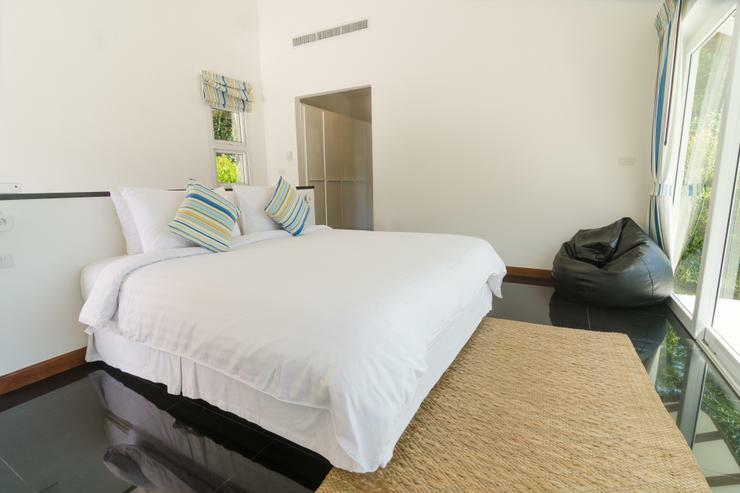 The master "honeymoon" suite is located in the prime position, closest to the sea and with direct access to the swimming pool from the terrace. 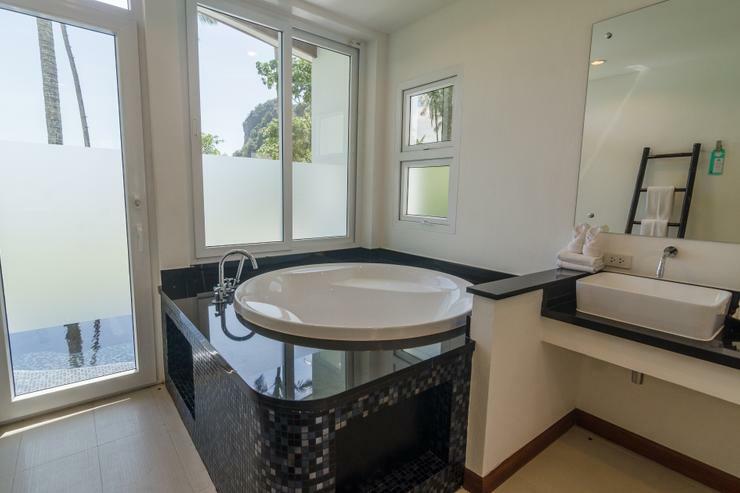 The cathedral ceiling and full height windows make an impressive frame for the panoramic views, which can be seen even from the bathroomâ€™s circular Jacuzzi tub. 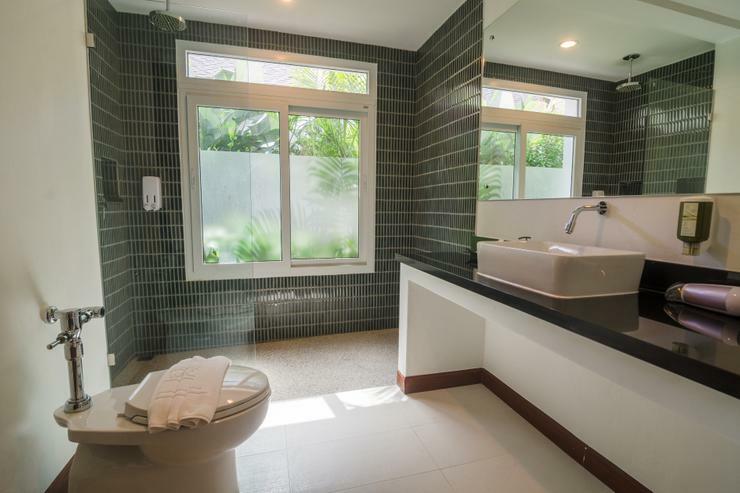 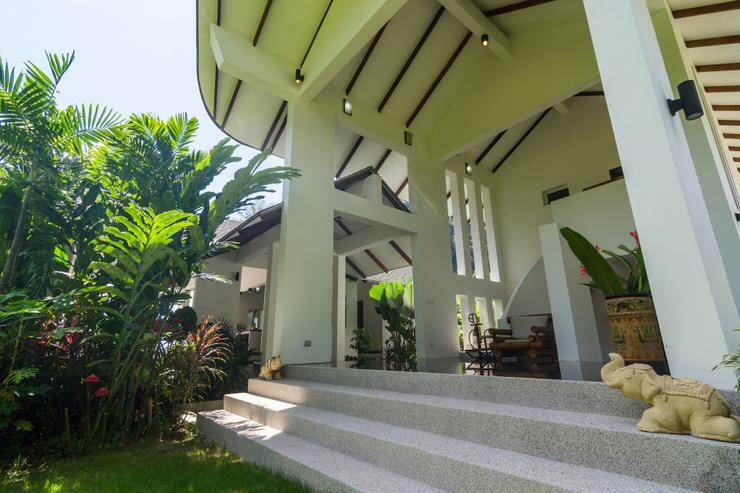 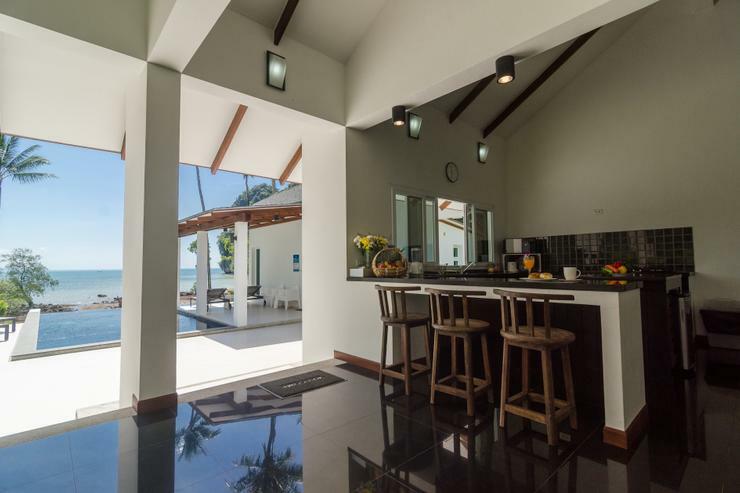 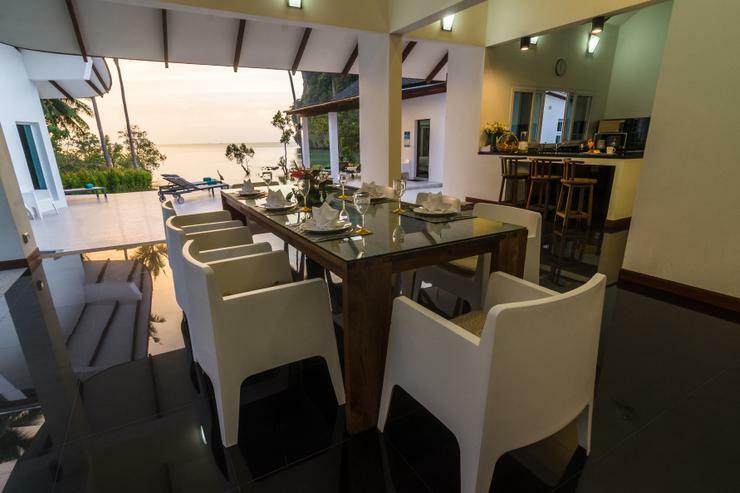 The Beach House is a fully serviced villa, offering signature services: concierge on call to organise excursions, unlimited tuk-tuk service to and from Ao Nang for shopping and dining(for a reasonable price), as well as in-villa private chef and massage services (additional fee applies). 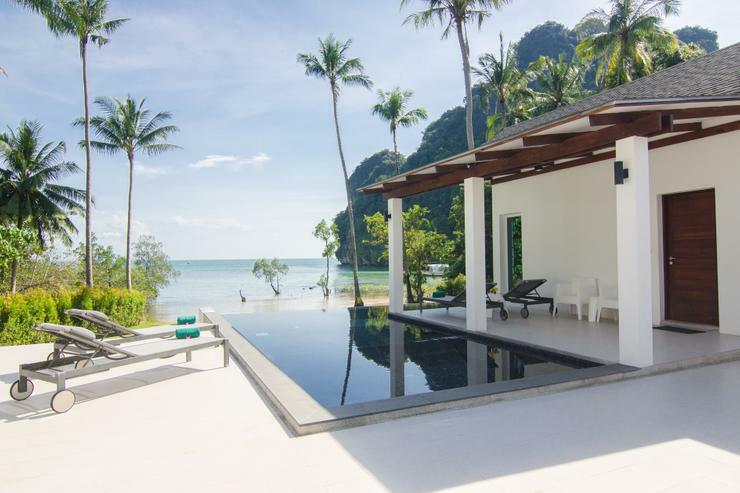 Special note: This page was about The Beach House - Ao Nam Mao, Krabi. 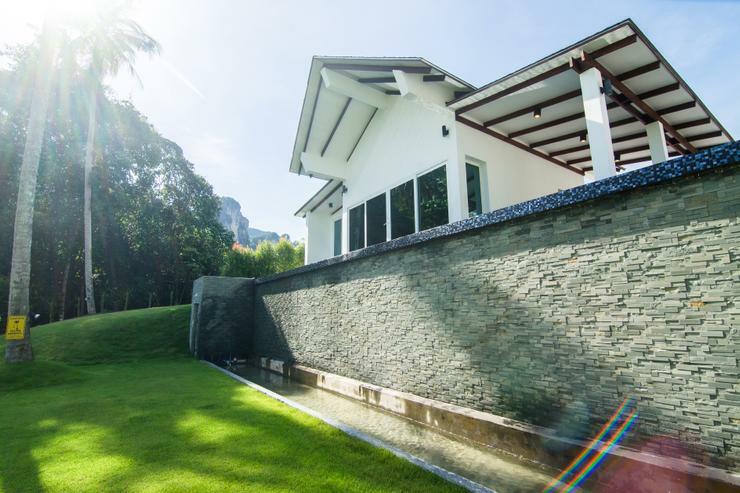 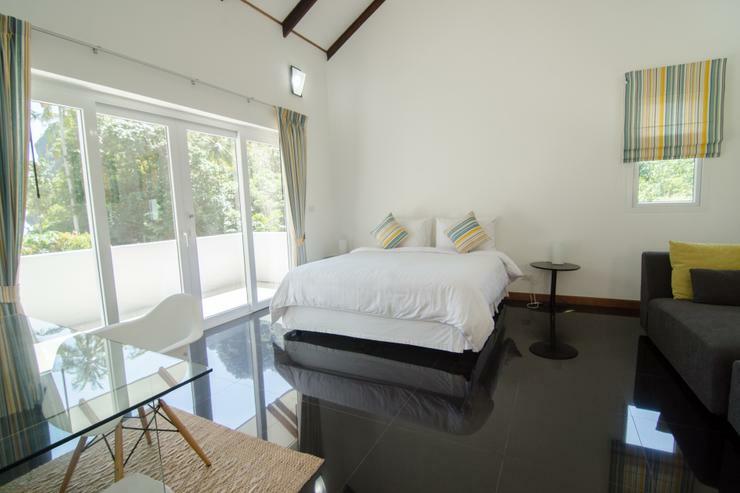 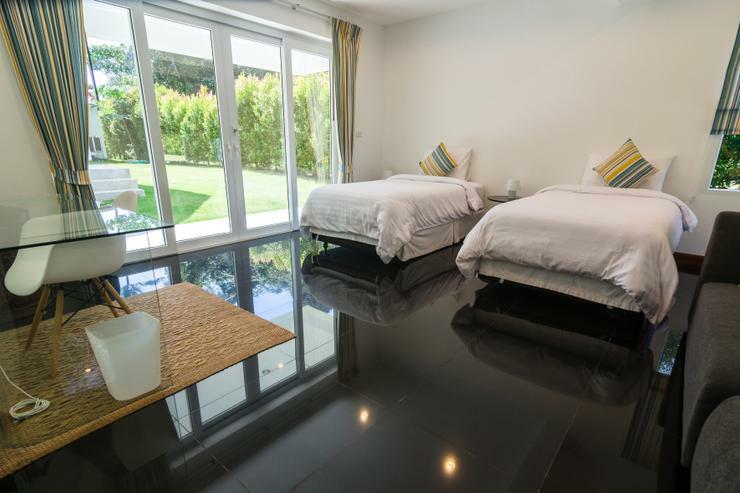 All of our websites involve Holiday rentals in Asia. 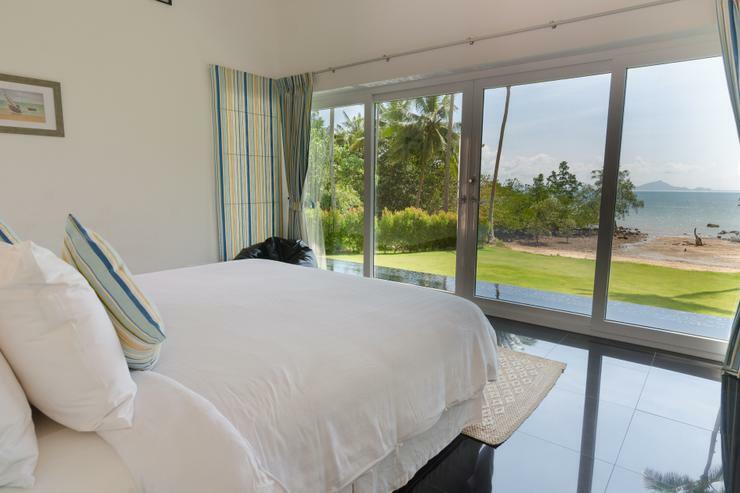 So please browse our holiday villa websites for more great deals and special offers.